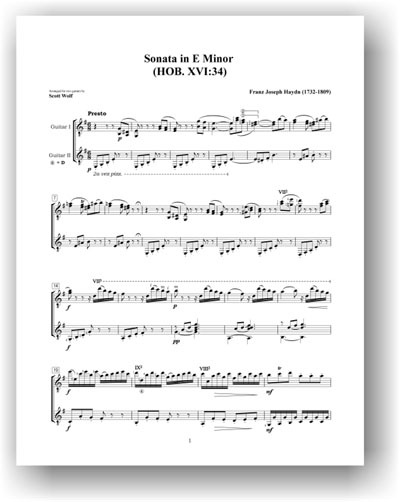 Haydn's Sonata in E minor for solo keyboard was composed during Haydn's time as concertmaster for Prince Esterhazy. 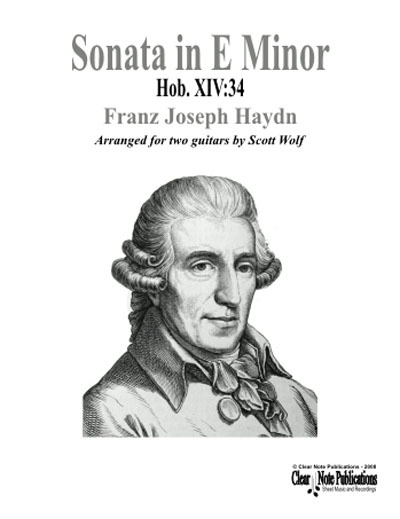 Haydn's keyboard sonatas were generally intended for intimate concert settings, and in the case of Sonata HOB. XVI:34, was probably written for the predecessor to the modern piano, the pianoforte. 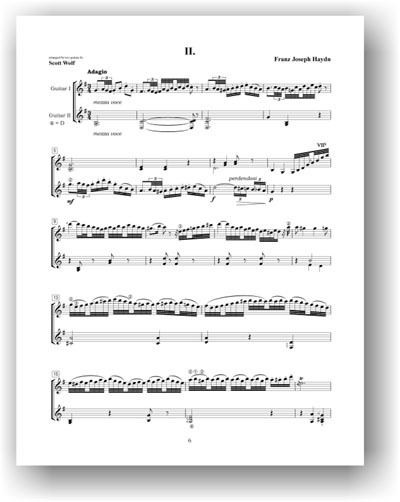 As a result, this work's character and key are perfectly suited to guitar duet and is so idiomatic to the instruments that one could imagine it was originally written with guitars in mind.